Ruth Brown was American singer-songwriter and actress who dominated the rhythm-and-blues charts throughout most of the 1950s. Also known as “Queen of R&B” and “Miss Rhythm”, she introduced a pop music style to R&B music and her success helped establish Atlantic Records as a major player in record industry. Born “Ruth Alston Weston” in Portsmouth, Virginia in 1928, she attended I. C. Norcom High School. Her father was a church choir director who discouraged his daughter from listening to the “devil’s music”. Brown was only 17 years old when she eloped with trumpeter Jimmy Brown in 1945. 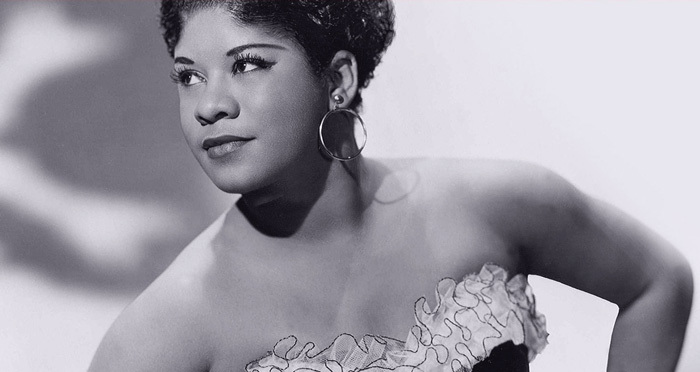 Ruth Brown started her musical career by performing in Lucky Millinder’s orchestra and singing gigs at various nightclubs in the Tidewater region of Virginia. After recovering from an automobile accident in 1949, she released her first song, “So Long”, which peaked at number 6 on the U.S. Billboard R&B chart. After scoring a series of chart-topping singles such as “Teardrops from My Eyes”, “5-10-15 Hours”, “(Mama) He Treats Your Daughter Mean” and “Oh What a Dream”, she went on to become one of the most popular female rhythm-and-blues singer of the 1950s who would play a major role in establishing Atlantic Records as the era’s premier label of the genre. Brown achieved crossover mainstream success in 1957 with “Lucky Lips”, and the 1958 followup “This Little Girl’s Gone Rockin'”. Her career, however, went into hiatus in the early 1960s. She ventured into acting in the mid 1970s, winning a Tony Award for best performance by a leading actress for the 1989 Broadway musical, Black and Blue. Brown died aged 78 in 2006, from complications following a heart attack and stroke. Her body is buried at Roosevelt Memorial Park in Chesapeake City, Virginia. Ruth Brown received a Tony Award in 1985 for her performance in the Broadway show Black And Blue. Her 1989 album Blues on Broadway earned Brown a Grammy Award for Best Jazz Vocal Performance. She was inducted into the Rock and Roll Hall of Fame in 1993, and the Oklahoma Jazz Hall of Fame in 1992. Ruth Brown was married three times and is survived by two sons. Her romance with R&B singer Clyde McPhatter resulted in a son, Ronnie McPhatter. Her other son is from her second marriage to tenor saxophonist Earl Swanson.